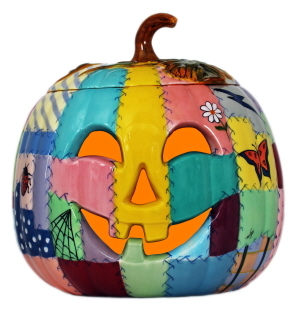 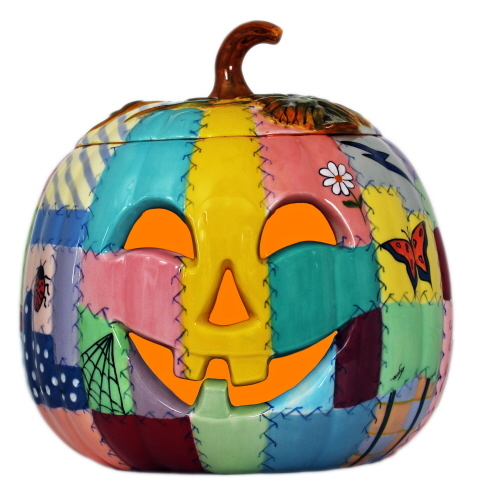 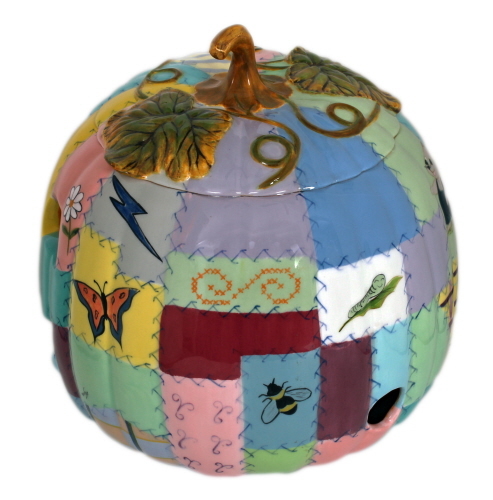 This hand made and carved porcelain Jack O'Latern was featured in a home craft magazine. It is especially unique because it was totally designed by Shirley's imagination. Each individual patch was hand painted right down to the stitch marks. 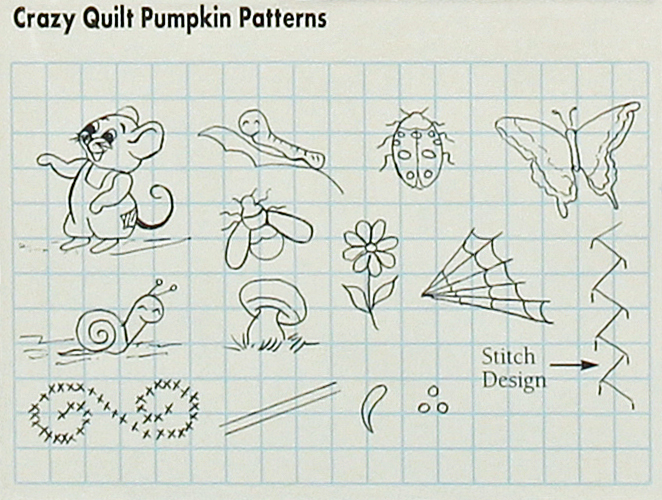 The individual characters and design of each patch was first drawn out, then transferred on to the clay. 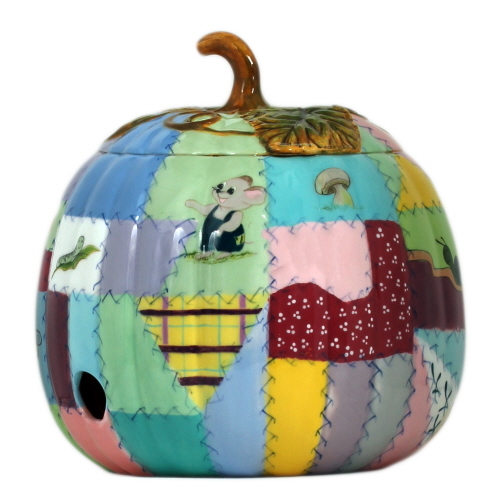 Fine hand-painted detail work completes the piece as if it was actually made as a crazy quilt. Though it may appear the top can be removed - it's an illusion. 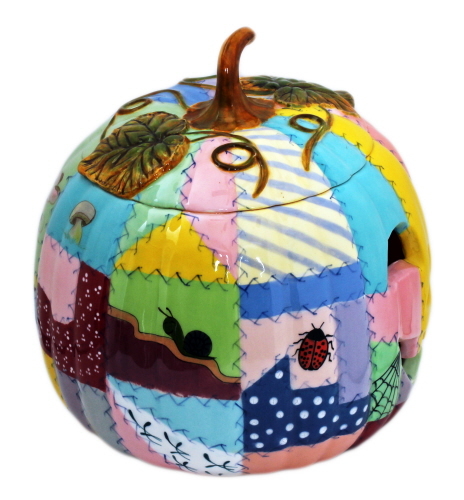 The top was separately crafted, then placed on the pumpkin when it was fired. 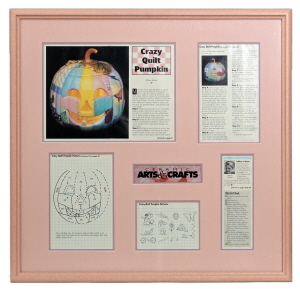 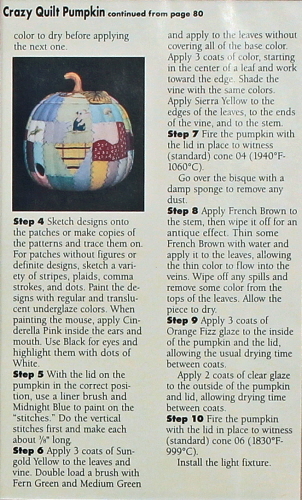 Included with the pumpkin is a copy of the article that was featured in the craft magazine – matted, framed and suitable for hanging. 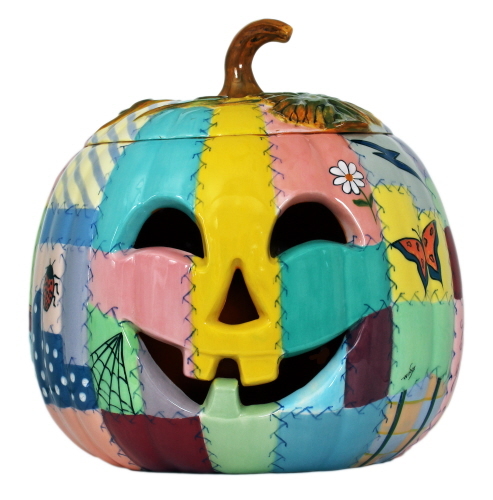 Dimensions: 26 ½” diameter, and about 9½” tall.